Romi is Thai massage certified teacher, traditional and yoga therapy teacher, somatic coach and massage therapist with 12 years of practice. She collected her first professional experience in massage in Reykjavik during her Erasmus study program on the university of Iceland. She became so successfull, that she stayed much longer and from hobby became life long professional career. She had been working for many years as contractor in Mandarin oriental Prague Spa, as massage therapist and yoga teacher, shortly also as therapy supervisor. She was expert for vip clients. Now she owns little studio in Prague, where she provides massage, individual yoga lessons, somatic coaching, develops and shoots videos for yoga application and organizes body-therapy workshops with interesting teachers from all around the world. Massage from her is holistic experience. 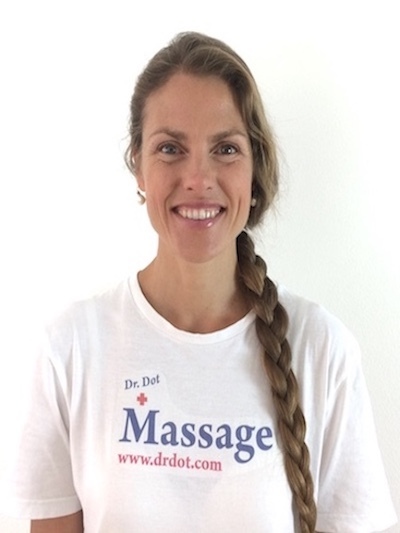 She is skilled in deep tissue, accupresure and work with meridians. She can provide Stretching and gentle mobilization inspired by Thai massage, therapeutic yoga and spiral dynamic. She works intuitively, can feel your issues and gives perfect customized treatments.